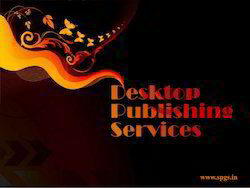 Our prestigious clients can avail from us Outsource Desktop Publishing Service. Making use of advanced tools and technologies, these services are rendered under the supervision of skilled DTP designers and layout artists. Moreover, these professionals ensure that the final document is designed and developed in exact accordance with the demands and requirements of the clients. In our enormous list of legal, language and data processing services, we have also added Desk Top Publishing (DTP) Service in India in our portfolio. To successfully render the solutions, we have created a core team with experience in handling various kinds of projects including simple as well as complex equations of mathematics, chemistry, engineering, and other scientific books & journals. 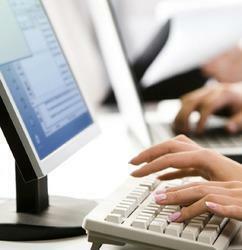 Desktop publishing (DTP) is a major phase in the printing and publishing process. During this stage a design specialist creates publication documents as layouts using a DTP software. In addition to setting page layouts, other processes such as infusing texts, images, graphs etc. in the required layout on a print material are also done here. A skilled professional, who is proficient in Desktop publishing software tools, can easily do your DTP projects with needed quality. Stream Perfect Global Servicesbecame one of the leading DTP service providers in India with its highly talented DTP designers. Moreover, our designers are very proficient in latest DTP software tolls. We have many satisfied customers who have used our services for making newsletters, brochures, catalogues, books etc. Whether it is your marketing, promotional, business or technical document, we can provide you the most competent DTP service with outstanding quality. 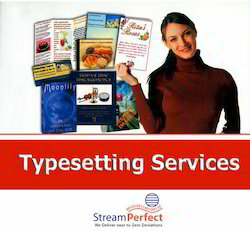 Our DTP service include typesetting, layout designing, image processing, artwork service etc. All our services are available at amazingly low price, with short delivery time. At Stream Perfect, we use the most advanced Desktop publishing software tools. Some of the DTP tools we use are Adobe PageMaker, Adobe Indesign, Adobe Framemaker, Corel Draw etc. We have partnered with many high profile organizations for their outsourced Desktop publishing service requirement. It is free to get a trial or quote from Stream Perfect- One of the leading Desktop service providers in India. Ours is a coveted organization, which is ardently engaged in providing high quality Desktop Publishing Services in India to prestigious clients. These services are offered to the clients utilizing advanced versions of software like Page Maker, Illustrator, Acrobat and Photoshop in different platforms. Moreover, our professionals ensure that each layout that is delivered to clients is carefully resized and formatted as per the original designs of the product such as training manuals, business cards, posters and multi-language brochures. 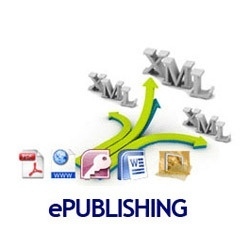 We have gained immense appreciation amidst the clients by offering the new generation E-Publishing Services. Unlike conventional publishing tasks, these services does not include printed books but uses modern day’s technologies and hosting of the content on the online market. Our team exclusively associates with the clients and assist them in designing, developing and extending the end-to-end eBook workflows to match with their production and budget goals.